Singapore will be the first city in Asia to host the prestigious awards ceremony, known as the "Oscars of the culinary world"
Come 2019, Singapore will welcome gourmands and leading chefs from around the world as it plays host to The World's 50 Best Restaurants Awards. A prestigious culinary awards that has pushed many restaurants into the spotlight, the annual awards ceremony has taken place in gastronomic hotspots around the world—Bilbao this year, Melbourne in 2017 and New York in 2016—though this will mark its first edition held in Asia. 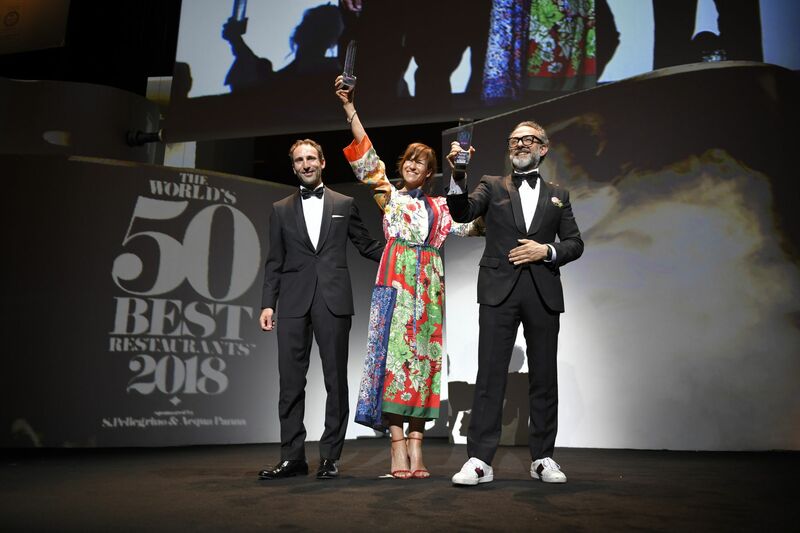 The unveiling of the 2019 list will be preceded by a programme of events and activities for consumers and industry insiders, including 50 Best's thought-leadership series, #50BestTalks, masterclasses, and exclusive dinners presented by some of the world’s greatest chefs. Participating chefs will also be invited to The Chefs’ Feast ahead of the awards ceremony to enjoy the city’s gastronomic delights and unique cuisines. Part of a three-year partnership with Singapore Tourism Board (STB), this collaboration will also bring The World’s 50 Best Bars awards to our shores in 2021, putting Singapore on the map as a leading culinary and mixology destination. “Hosting the internationally-renowned 50 Best branded events in Singapore, including The World’s 50 Best Restaurants and The World’s 50 Best Bars, bears testament to Singapore’s rising stature as a gastronomic and nightlife capital,” said Melissa Ow, acting chief executive of STB. In fact, almost one in five of the restaurants in Asia’s 50 Best Restaurants are based in Singapore, including Odette, which also holds the 28th place on The World’s 50 Best Restaurants. The city is also represented by six bars in The World’s 50 Best Bars list—Manhattan, Atlas, Tippling Club, Native, 28 HongKong Street, and Operation Dagger. “We are very excited to host an edition of The World’s 50 Best Restaurants in Asia for the first time. As a confident, vibrant and thriving food city, Singapore is the perfect choice,” Tim Brooke-Webb, managing director of 50 Best, said. Digest Will Odette’s Julien Royer Open Another French Restaurant In Singapore?